Made with proprietary memory foam materials for the ultimate earphone upgrade. Enhance your listening experience today. Comply™ Truly Wireless Pro tips feature uniquely tapered designs that seal the ear canal seamlessly to block out external sound for better sound and call clarity, allowing you to experience the most optimal audio experience. Additionally, our Truly Wireless Pro tips are shorter in length than conventional tips, allowing for sensor contact with the ear for fitness tracking and biometric devices without sacrificing comfort. 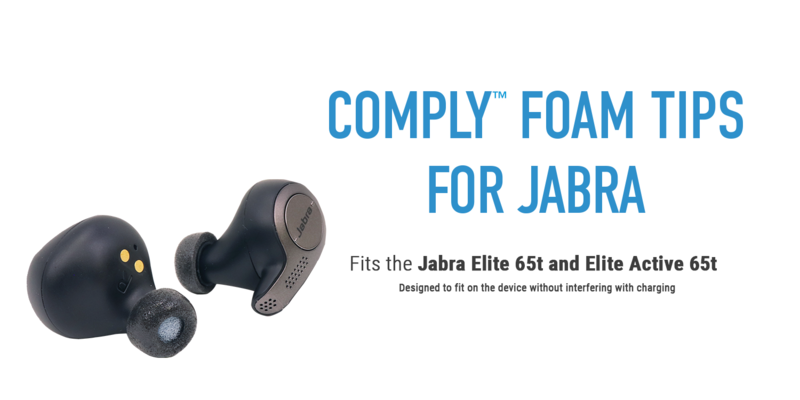 Whether you’re using your Jabra Elite 65t earphones to work out, jam out or zone out during your daily commute, Comply™ Truly Wireless Pro tips are the best way to get the most out of your audio. The future of wireless listening awaits you, so cut the cord today. 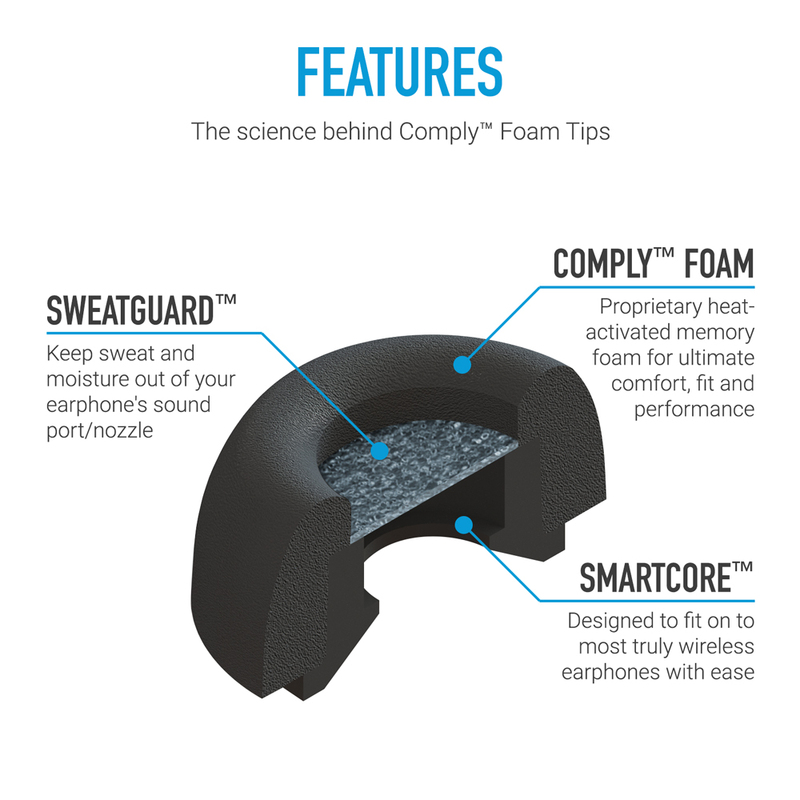 Comply™ tips are made from body-heat activated memory foam that’s 30x softer than silicone. Our Truly Wireless Pro tips create an ultra-soft and comfortable fit that snugly fits into the exact dimensions of your ear. Best of all, the incredibly comfortable softness of our tips greatly reduces earphone irritation and fatigue, allowing you to immerse yourself in your audio for even longer. Truly Wireless Pro tips come equipped with our SweatGuard™ Protection technology. This is an acoustically transparent filter that protects the inner components of your earphones from corrosion and loss of sound quality by blocking off moisture, debris and sweat. SweatGuard™ Protection is a perfect choice for high-end earphones because it ensures that they last even longer than normal.